Now you can have the finance tools that help track and report your business! 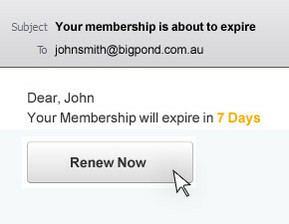 Member Evolution can be configured to send Membership Renewal reminder emails on a preset schedule. Create any number of lead-up emails with your specified content and schedule them to be automatically sent to the Members Administration and Finance Contacts. No longer do you need to worry about sending renewal emails or chasing up customers to renew their membership - Member Evolution does it for you. The system will only alert you when someone has failed to pay so you can schedule a follow-up call. To increase your retention rates you can use these automated emails as a marketing tool by including Special Offers, Member Benefits and Express Payment options. Prorate: Prorate Membership Plans allow a fixed date to be set by you when all membership renewals occur and all ‘New’ Members are presented a prorate fee on initial sign-up. The fee is automatically calculated based on the date they apply and the date of renewal, providing an accurate real time sign-up fee reflecting the term left of the current year's Membership. 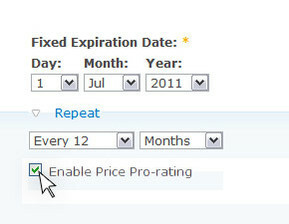 Anniversary: Anniversary Membership Plans renew on the anniversary date of a member's signup. This provides considerable cash flow benefits to your organisation and allows for administration of renewals to be spread across the year, reducing your peak resource load, allowing for better staff utilisation and minimal impact of membership service delivery. Xero is a powerful and easy to use online accounting system that is integrated into the Member Evolution financial management software. Xero is designed to synchronise data across your association or Not-For-Profit organisation. By installing Xero’s automated processes you will save hours by not having to create invoices or receipt payments for memberships, events and other financial purchases. The Member Evolution association management software integrates two payment gateway solutions including SecurePay and PayPal. A payment gateway is a service that processes the debiting of money from a credit card and puts the funds into your online merchant account (a bank account). SecurePay includes a range of online features that enhances the way you do business. Not only does SecurePay allow credit card payments to be taken online in a secure environment, it provides a separate login to view every transaction that should have arrived in your bank, or sets up recurring payments. PayPal provides a similar service with online secure payments for customers either with or without a PayPal account (a recently introduced feature). 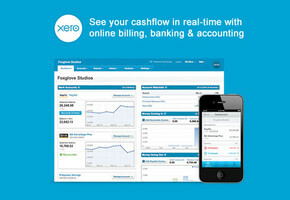 Learn more on how Member Evolution integrates with Xero.